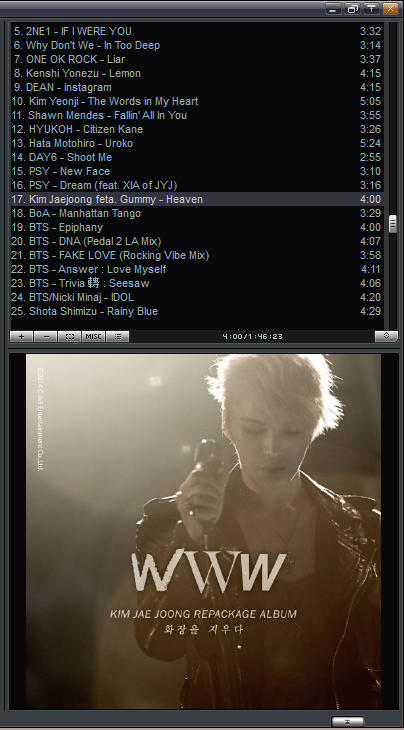 not listening to the full album yet, whoaa I’m so slow now, sorry sorry T_T. >> Play Ur Love stole my attention, such a nice melody, so relaxed and ejoyable, I love this kind of music. But the intro really reminds me to Mariah Carey song “Bye Bye”, only the intro but maybe Seriously they have a lot of beautiful songs, though their prime style is dance , Pledis produced such a lovely beautiful songs. >> When I Fall (2011 new recording) I much prefer previous version, this version turned well in the beginning, even I am so excited first, feel so good but some beat disreact the emotion in the chorus and ut turned different. The previous version is more emotionally perfect. >> Shampoo It’s full beat. I’m not so much interested in this song, still can’t get what Shampoo mean for this song. But I’m impressed with Bekah’s rap as always. >> Dream such a bubble song, wonder that After School have such a bubbly song, they sound sweet, cute and girly. >> Because of You (2011 new recording) I just hear it the same, not so much different with the previous version. I love this one as well as the previous version. >> Raina solo beautiful song again, nice melody. so lovely romantic, the chorus grow well on me, you should check it, girlz… she has a nice voice as always.